An appeal for help to find a missing dog from Skelmersdale has been made. 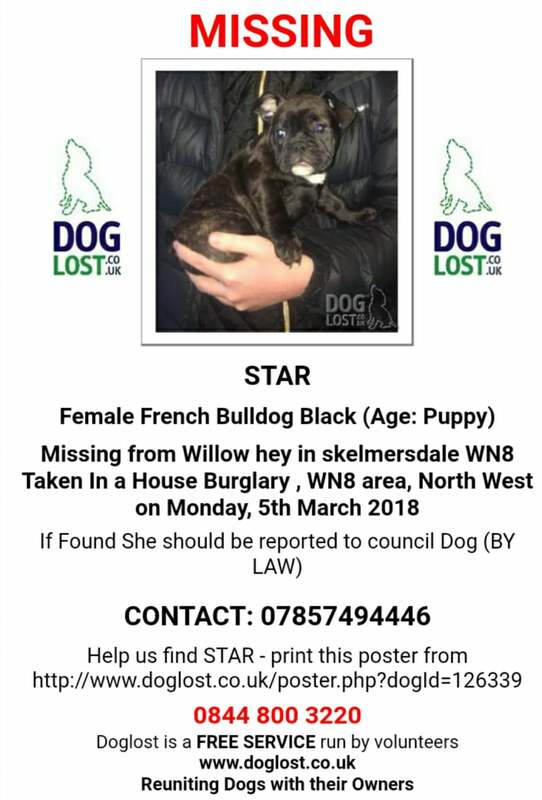 Star, who is a female French Bulldog cross, was taken in a house burglary in Willow Hey in Skelmersdale. Star was taken on Monday 5th March. If you know of the dog’s whereabouts please get in touch using the details in the attached poster.